By the Mass, the priest leads people to Christ the King. Faithful to his Roman teacher, Fr. 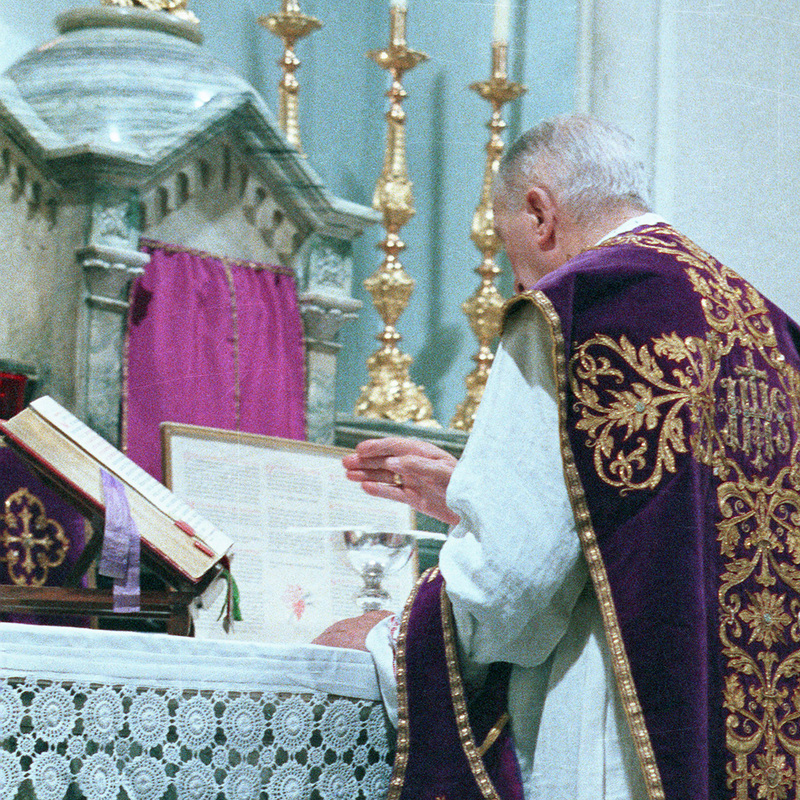 Marc Voegtli, Archbishop Lefebvre sees in the Mass the most solemn proclamation of Christ’s kingship. In the hymn Vexilla regis, we sing “Regnavit a ligno Deus”: God reigned from the wood, the wood of His cross. On the cross he conquered the devil, sin and eternal death, and this work of redemption is carried on in every Mass. The victory of Christ the King is brought about by the Mass but it is also a conquest: it extends to all souls, to families, the Catholic school, and also reaches into the professional life, the laws, the politics and the entire life of society. This is the integral work of the Catholic priesthood. Archbishop Lefebvre explains the changes effected by the Holy Sacrifice of the Mass in the missions.